Whether you are a business owner or a Marketing Director, marketing and advertising is definitely one of the most significant aspect of your work. In the 21st century- where the huge explosion of digital data has swamped the field- you have to do something remarkable in order to stand out. While giant enterprises with deep pockets can funnel down money to rule over online and traditional mediums, small and middle business companies need to do something spectacular to really catch the attention of people who are already overloaded with information. This is where your branding strategy becomes extremely important. No matter what the project is based on, you need to hire only the best graphic design company that can effectively communicate your brand essence and and market its benefits and value effectively to be able to reach your business goals. But, how do i know how to choose the right graphic design studio? Feedbacks and customer reviews: When you google search for graphic design studios, always make sure that you read up the testimonials they have received from their previous and current clients. This will help you to know if the Company lives up to its promises. A consistently fair review will encourage you to trust them. Also, feel free to request references. Most agencies will be happy to give them to you and most of their clients will be happy to tell you about their experience. Internal processes for project management: It is extremely important to know how a Design Company approaches a certain project. Do they have an effective team to look into different aspects of the case, and are organized well enough to put all the little pieces together effectively? What is their process from the human and technological point of view to complete an assignment (whether it is a single project or a full on strategy)? Their ability to handle your requirements will depend on how proactive they are as a team. Client communication: You can find a lot about this during the bidding process. During this time, and based on their proposal and presentation, you can gauge responsiveness, thoroughness, proactiveness and creativity. A responsive team will be able to get back to you quickly with any of your requests. 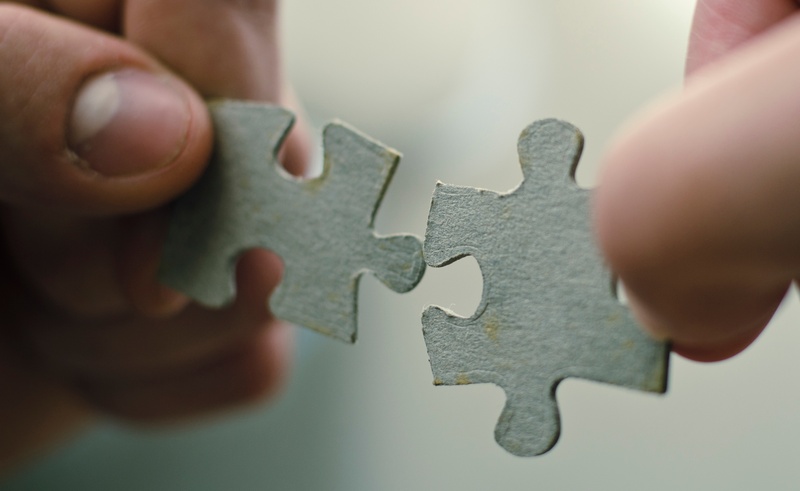 A thorough team will be able to immerse themselves to understand your business and your market. A proactive team will be able to provide you with effective initiatives pertinent to your goals. A creative team will be able to think out of the box to deliver unique ideas that captivate your audience. 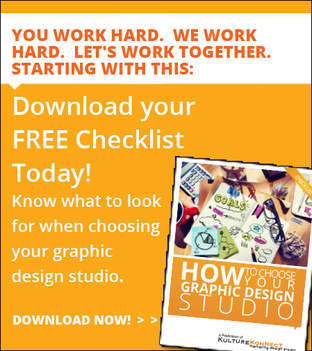 >> Now that you know some of the things to consider when hiring the right design partner, download our 9 tips to choose your graphic design studio here! Working on budget or unlimited financial resources: As a business, it is very important to know how much money you want to invest in your branding, marketing and advertising efforts. However, this is something that not all businesses have clear... and working without a specific budget is really hard for any design studio. Having a budget will allow you to know how much money you will be spending every month and exactly what deliverables you can afford. Bigger companys have almost unlimited resources dedicated to their marketing initiatives, but most businesses have a limited budget. Whatever your situation is, make sure you define your circumstances so you can identify what you want, what you need and, ultimately, what you can afford. Style of work you prefer: There are designers who create highly minimalist designs and can be applied to museums and even young start-ups. However, Companies involved in the music industry might require more illustrative artwork to create a bigger impact on their target audience. Most of the times, each agency specializes in certain industries with certain visual looks, but that doesn't mean that they won't be able to take on your project. Ask them about it and how their design experience can be applied to your circumstances. If they feel their design talent is not a good match, they will tell you. When it is about your business and your brand, it is not an easy task to find the right graphic design partner. However, if you start by considering these 5 things, you can get to a really good start and be ready to make the right decision when it is time!